I pronounce it Kyo-grey, but then that's like people calling Tidus from FFX Tide-us (I do) rather than the actual pronunciation which is Tee-dus. Tide-us suits him more. 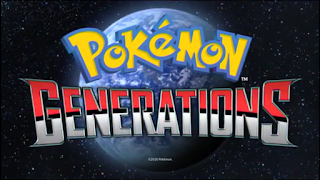 Well the subtitle has pretty much spoiled the main Pokemon we see in this episode, but then again you see Primal Groudon in The Vision (Episode 7), so of course Kyogre would show up soon after. And don't forget about Team Aqua showing up since Team Magma was in the previous episode too. Things are taking a darker turn now that we're in the Hoenn Region, and it seems there's a theme running in the episodes based in this Region. I haven't played many Pokemon games, but I'm guessing the Primal versions of the Legendary Pokemon Groudon and Kyogre were introduced in Alpha Sapphire and Omega Ruby. Correct me if I'm wrong here. But with these Pokemon and from what I've seen in The Vision, the Teams are wanting to create a new world and need the Legendaries to do this, seeing as Groudon has the ability to expand continents and Kyogre has the ability to expand the oceans (courtesy of Bulbapedia). So The Cavern features a lot of water Pokemon (I see you Magikarp) which was nice to see given that we have mostly seen land Pokemon since Pokemon Generations started. Like I said, Team Aqua makes their debut as the leader Archie (what a name for a villain) looks for Primal Kyogre to command it to do his bidding: to create the utopia Team Aqua have been longing for. He can command Kyogre using a Blue Orb of some sort which also releases Primal Kyogre from its slumber (turns out the Orb allows it to become its Primal version). Thank you Bulbapedia again! Once it's awakened Primal Kyogre gets to work "creating" Team Aqua's utopia. By "creating" I mean it's not their utopia Kyogre is out to create, as Shelly of Team Aqua finds out just before Primal Kyogre is awakened, but by then it's too late to stop Archie. Plus he ignores her. They're really making all the Legendaries look great, and so far Kyogre and Groudon are the most visually stunning by far out of all the Legendaries we've seen up until now. Seeing Kyogre as it is whilst wreaking havoc makes you realise how something can look so majestic yet dangerous to those around it. I mean, seeing all those frightened Pokemon running for cover and those of Team Aqua who weren't underwater when chaos ensues makes The Cavern the darkest episode yet, especially with that ending when Archie realises what he's done by awakening Kyogre and tries to stop it. This is what happens when you unleash the beast. Am I right? XD It's similar to what happened in The Vision, but as the episode name states, that was just a vision Courtney of Team Magma saw when the rest were on their way to awaken Primal Groudon. Apologies for spoiling the previous episode, but I'm sure you guys would have seen it by now no? Ah well. 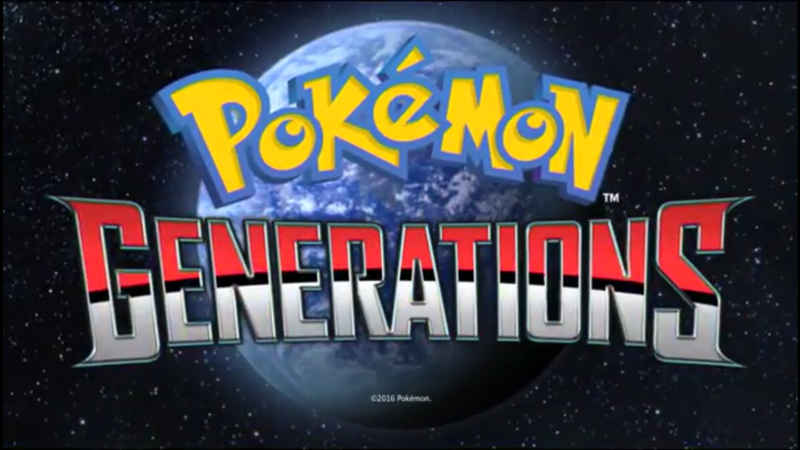 What do you guys think of Pokemon Generations so far?